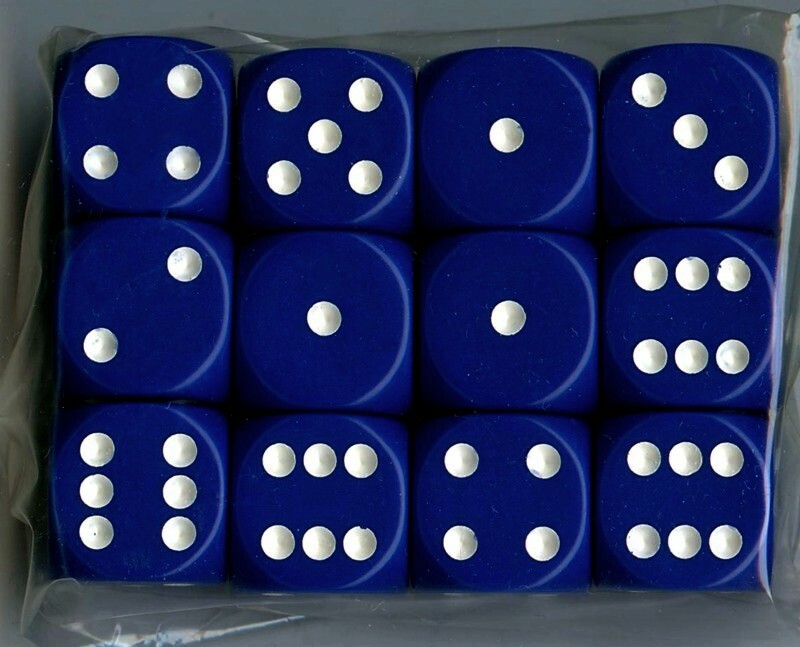 Twelve identical, good quality 16mm round cornered 6-sided Spot Dice. Dark blue with white spots. These are new and unused.